These little puffballs came to be because another recipe failed. It’s so frustrating when that happens. 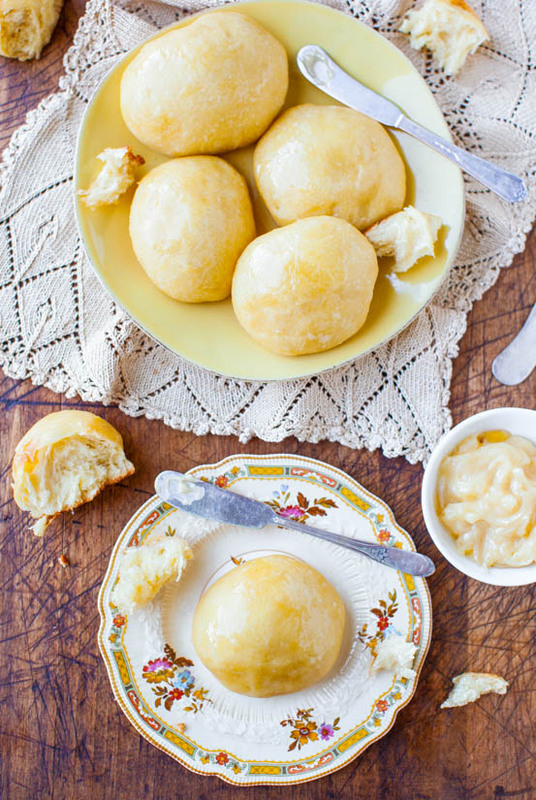 But now I have a stellar recipe for cream cheese puffs that are ready in 15 minutes flat. Silver linings. The failed recipe was for vegan banana muffins with a brown sugar streusel. I have a great vegan banana muffin recipe and all I was changing was adding streusel to the top, but it was apparently too heavy for the eggless dough and the muffins collapsed. They tasted great, but weren’t pretty enough to blog about. I still had muffins on my brain, and pulled out two mini muffin pans, without knowing what batter I was going to make to fill them. Something fast, easy, and fuss-free were requirements. Time was ticking. Make something. Hurry up. Daylight is burning. The days are getting shorter. Hurry up. Think. Think. Think. No more recipe fails. That was going on in my head. I looked around my fridge and grabbed a nearly used container of spreadable light cream cheese, leftover from the Salted Caramel Apple Cheesecake Bars, along with one stick of butter. To that I added 1 cup flour, baking powder, salt, and milk. 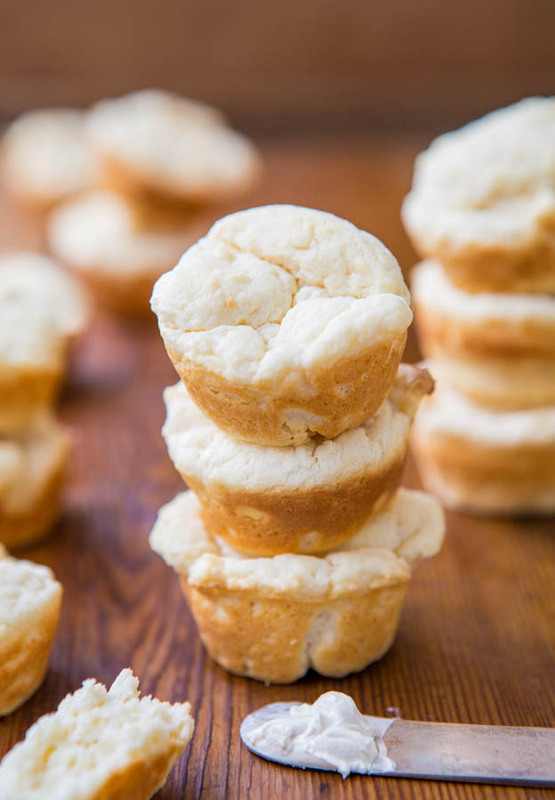 There are only 4 ingredients in these puffs, 6 if you count baking powder and salt. 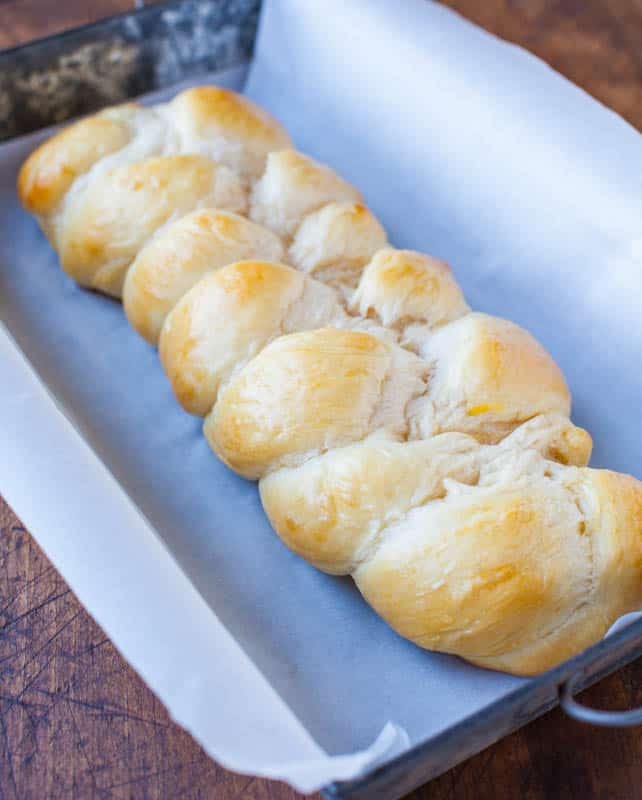 The batter takes about 3 minutes to come together, and with less than 12 minutes to bake, you’ll be popping warm, fresh, soft bread in 15 minutes. 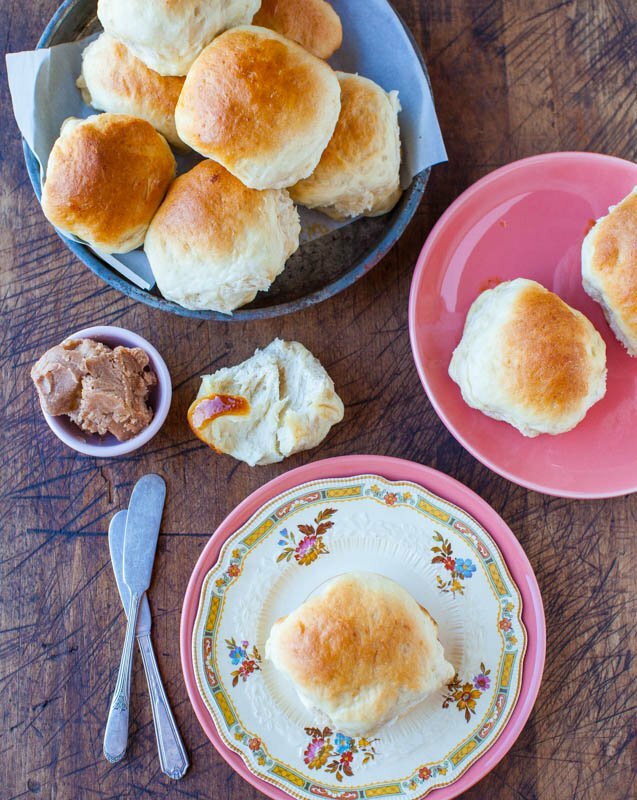 They’re like 15-minute dinner rolls or biscuits, minus kneading, rolling, or cutting out. You can’t beat it. I put all the ingredients in a mixing bowl except the milk, and beat it together with my hand mixer. The batter was extremely thick and I drizzled in milk to thin it. I used 3/4 cup milk, you’ll probably use about the same, but because ingredients vary, you may need slightly more or less. The batter is very thick, pasty, dense, and far thicker than your average muffin batter. You could likely keep them vegan by using vegan varieties of butter, cream cheese, and milk, and since there’s no egg, a vegan version seems very plausible, but I haven’t tried it. I had one failed vegan muffin recipe, and wasn’t willing to push my luck that day. Unlike my failed banana muffins, the puffs rise extremely well. 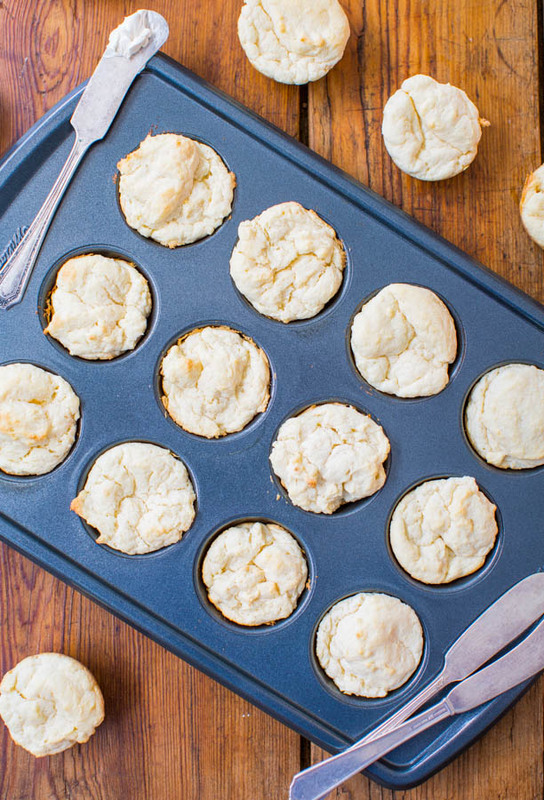 Filling the cavities of your muffin pan to three-quarters full using 1 rounded tablespoon of batter is ideal. I made 20 mini puffs, and while I’m sure you can bake them in a standard size muffin pan for a longer duration, part of the charm is the mini size. Mini food is so much more fun to eat, and I swear it tastes better. However, mini food, especially muffins, can turn so dry, so quickly. The fat in the butter and cream cheese helps prevent that. They’re moist, buttery, and squishy soft. Be sure not to overbake them. Baking for 11 to 12 minutes was perfect for me and any longer than 12 minutes, and they would have turned too dark of a brown around the base, which you can’t see until you release the puffs from the pan. 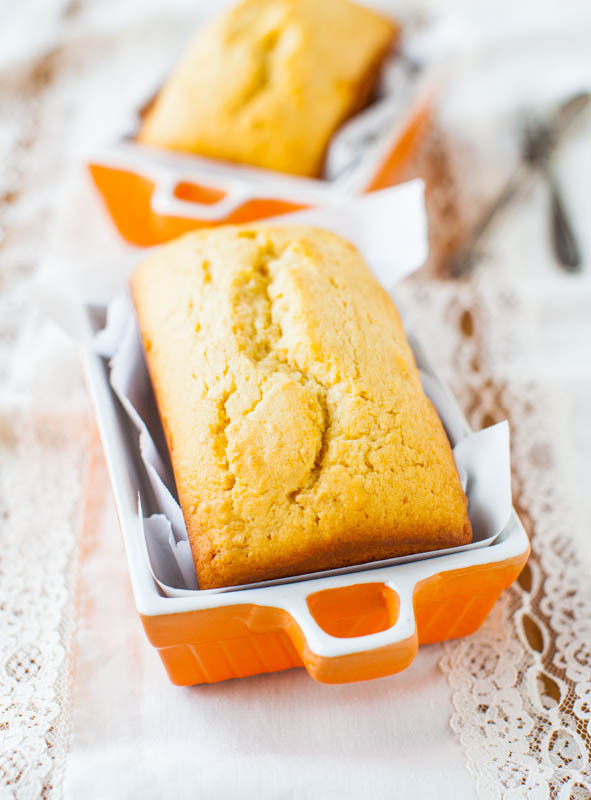 Bake until they’re set and springy to the touch, but don’t wait for the tops to turn golden. They won’t, and will stay very white. You could add warming spices to the batter like cinnamon, pumpkin pie spice, nutmeg; or go savory with garlic, onion, smoked paprika. The flavor reads more buttery than cream cheesey and they’re a perfect blank canvas, receptive to many different spices and seasonings. 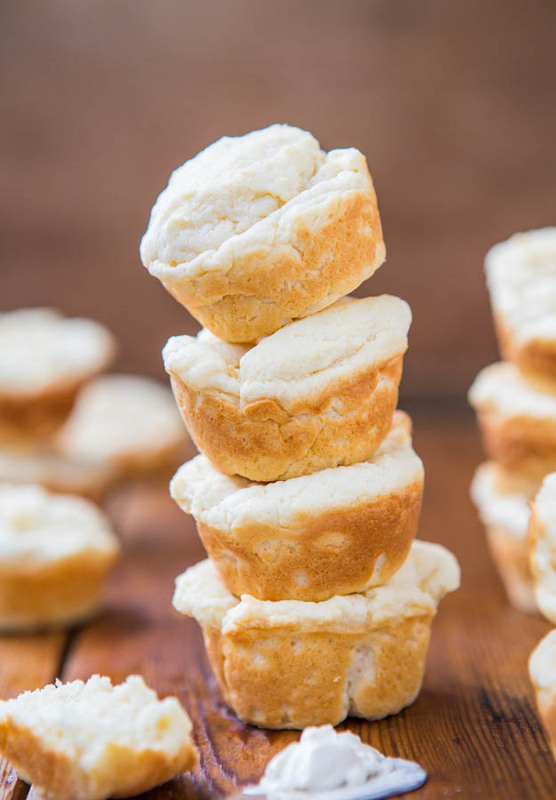 The interior texture is a cross between an English muffin and a traditional biscuit, with lots of nooks and crannies, perfect for drenching with butter, jam, honey, or smearing on cream cheese. Use them as the dippers for your favorite dips or chutneys, or serve them with soup. Warm and fresh from the oven, these things were like Pringles. Once you pop, you can’t stop. 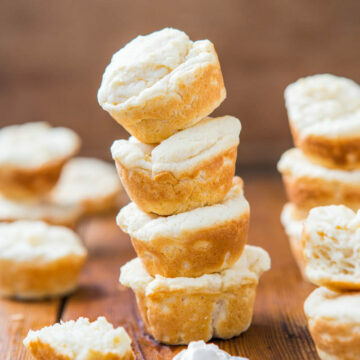 These mini cream cheese puffs are soft, light, buttery and fast to make. 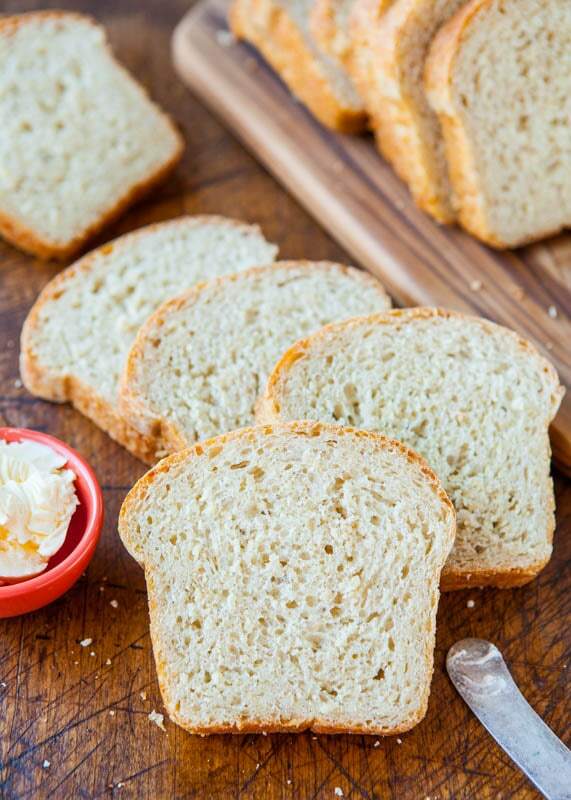 From start to finish, just 15 minutes separates you from warm, fresh bread. The interior texture is a cross between an English muffin and a traditional biscuit, with lots of nooks and crannies, perfect for drenching with butter, jam, honey, or smearing on cream cheese. You could add warming spices to the batter like cinnamon, pumpkin pie spice, nutmeg; or go savory with garlic, onion, smoked paprika. They’re a perfect blank canvas, receptive to many different spices. Eat them as is, or as dippers for your favorite dips, chutneys, or soup. Note the batter is very thick, dense, and paste-like; and don’t overbake. They’ll be prone to burning and turning too dark around the base after about 11-12 minutes so watch them closely. Preheat oven to 425F and spray mini muffin pans with floured cooking spray, or grease and flour the pans; set aside. In a large mixing bowl, combine all ingredients except milk and beat with an electric mixer to combine, about 2 minutes on medium high speed. Mixture will be very crumbly, with pebbles and sandy bits. Slowly drizzle in up to 3/4 cup milk; just enough so that batter will combine and come together. Note – this batter is very thick and paste-like, and I only used 3/4 cup milk. If yours is thick to the point you can’t stir it, add milk, as necessary to thin it. Using a tablespoon or small cookie scoop that’s been sprayed with cooking spray (helps batter slide off spoon or scoop easily), form rounded 1 tablespoon mounds and place mounds into prepared pans. Each cavity of pan should be filled about 3/4 full. The cavities are small and the batter is thick, and it’s okay if they’re not all filled exactly uniformly. As the bake, batter that was placed in the pan in a very rounded fashion (like a perfect scoop of ice cream) will bake up more domed and puffed than batter that was just smooshed in. They rise very well; be careful not to overfill. Bake for about 11 to 12 minutes, or until puffs are springy to the touch, and a toothpick inserted in the center comes out clean. Don’t overbake because they’ll be prone to becoming dry and the bases will turn overly dark (and you can’t see this until you release them from the pans). Allow puffs to cool in pans for about 10 minutes, or until they’ve firmed up and are cool enough to handle. Puffs are best fresh, but will keep airtight at room temperature for up to 3 days, or in the freezer for up to 4 months. Serve plain or with butter, cream cheese, jam/jelly, honey, chutney, dips, soup. Any notable baking fails you can remember? how cute and tasty are theeese??!! Oh, my! Beautiful recovery after a recipe fail. (When a recipe flops on me I sulk and brood for at least two days.) :D These puffs are dreamy! These are adorable and so simple to make. 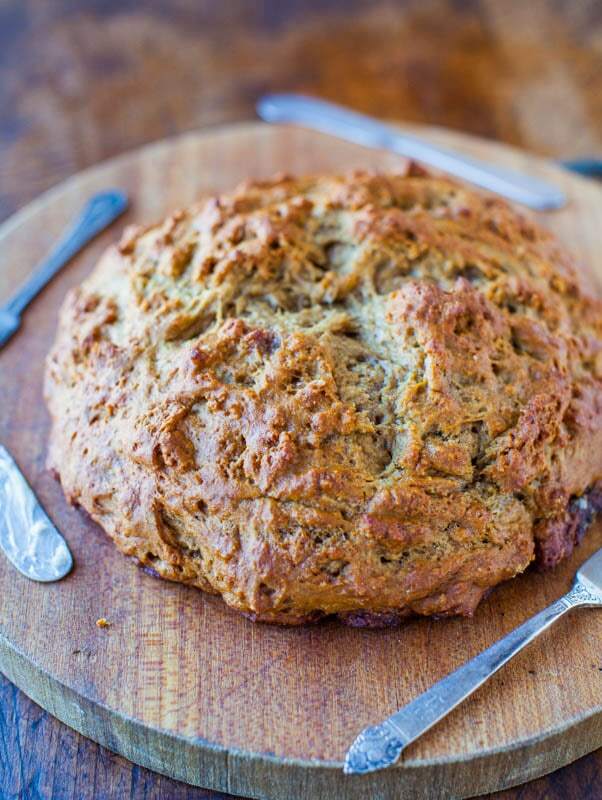 Love this recipe! I made these for dinner–they are delicious and my husband loved them also! I decided to double the recipe and bake the other half in a loaf pan (it took about 23 min). I just added my own dill and parsley to the loaf and left the little puffs plain so I could have them with butter and jam. 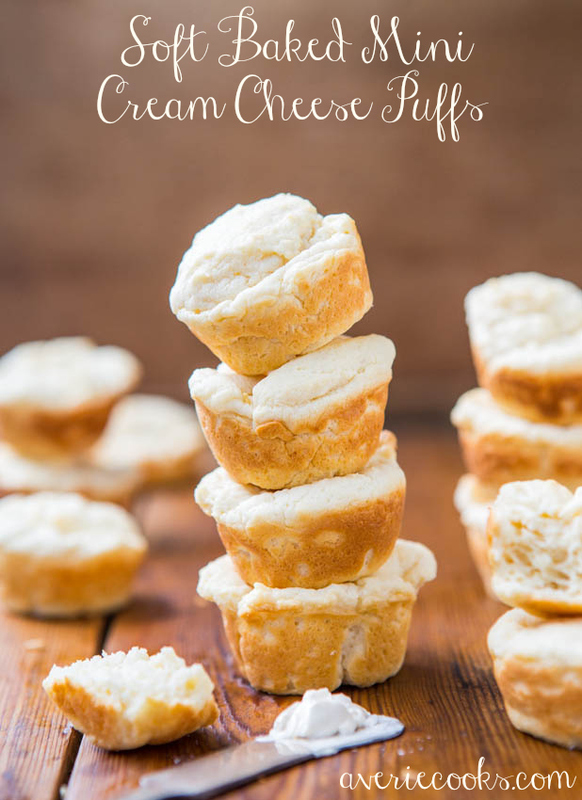 Very yummy, super quick and soft–I love the cream cheese in them! Hi Paula I am so glad you tried them! I bet your own dill and parsley was awesome in what you made as a loaf (good idea if you only have 1 mini muffin pan AND wanted to double the recipe) – and leaving the little puffs plain for butter and jam, yes, I smeared PB & J on them. 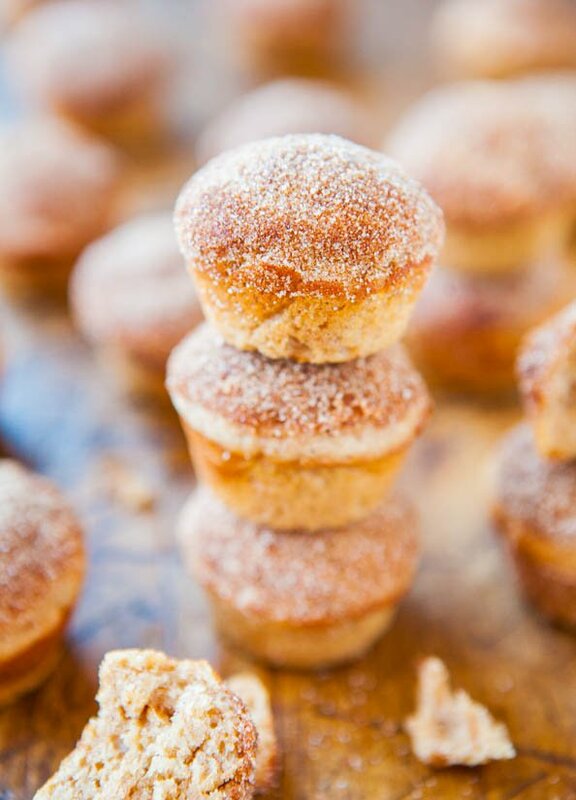 Sort of ‘stuffed’ them like a mini donut if you will with PB&J. Super messy and not camera friendly but sure tasted great! Glad your hubs like them as well! And thanks for the 23min cooking time info re the loaf! Averie, I have never seen anything like these before! I am totally intrigued & I can’t wait to give them a try. I hate to say this, because I know how frustrating recipe fails can be (on so many levels), but I’m kinda glad for this one, because it’s resulted in something so unique! Pinned! Thanks for pinning and glad you’re intrigued! And yes sometimes there really are silver linings stemming from a fail! A regular reader/commenter who makes nearly every recipe I post (Paula, a couple comments above you) make a double batch and went savory with some, plain with the other; and baked some of it in a little loaf pan. Super versatile recipe! I love the way your mind works!! So much like mine, it’s cray-cray!! 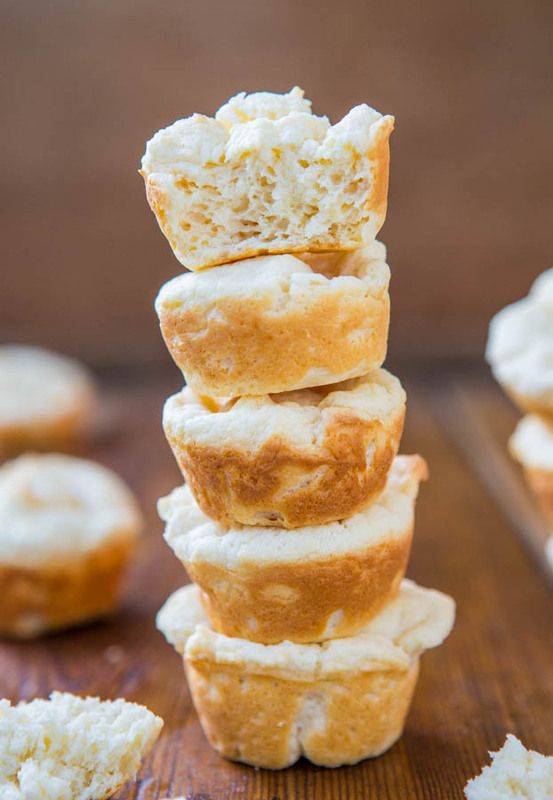 ;) I want to inhale these cute little cream cheese puffs! Made them this past weekend – I thought they were very good – thank you for the idea. Great Joe! Glad to hear that! Averie, I almost (but not really) wish you would fail at recipes more often if little gems of mini treats like these appear afterward! I’m really impressed that you could turn around after a recipe disaster and bake something else. I break down and dissolve into tears while sitting on my pink step stool in the kitchen, so it’s inspiring that you’re strong enough to get back at it! A couple cookbooks and 5 years of blogging later, I have learned to THINK on the FLY! It’s a job requirement and to not let the fails get you down! These look SO good! And SO easy, which is really what helps me decide whether or not to make a recipe :) I’m going to veganize them and let you know how it goes! Ok that’s awesome to hear! Please LMK how it goes! What a happy mistake! 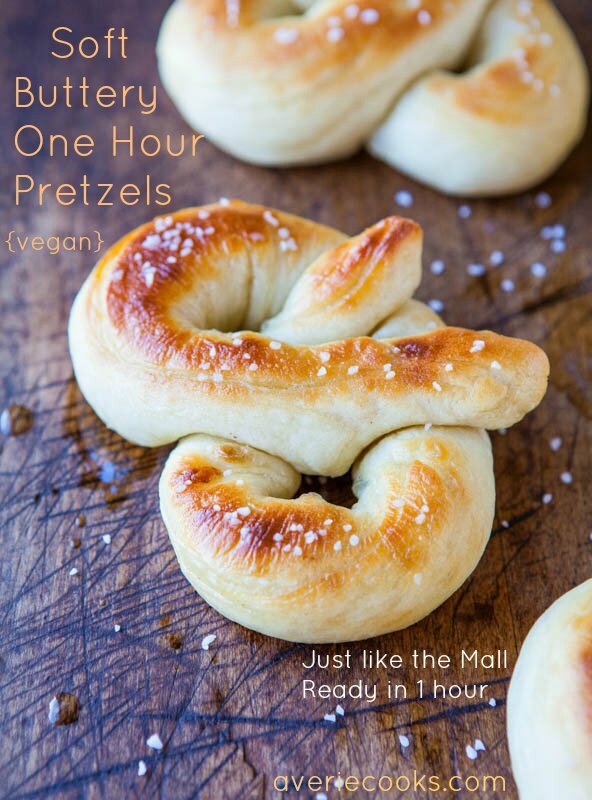 These are delicious and SO EASY! Thanks for trying them, Molly! Glad you enjoyed! Hi! 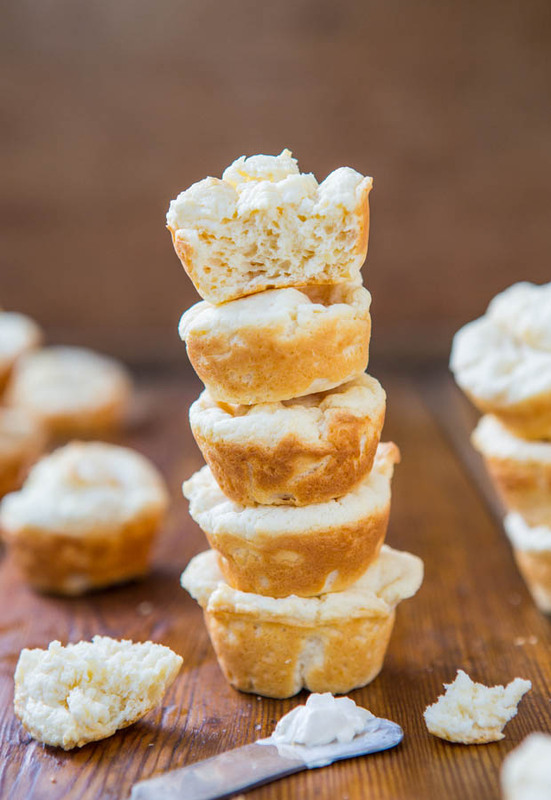 I’m going to make these little cream cheese puffs tmr! The ingredients are reall simple but i just realised there wasnt any sugar in the recipe! Will the puffs be sweet and is it okay to eat it plain? They’re not super sweet and more like a ‘dinner roll’ in terms of sweetness but you could easily add 3/4 cup sugar or so to make them sweet. Do whatever sounds good. Hi i just made these and they tasted quite good! But mine didnt rise as beautifully as yours. I whisked all the ingredients by hand as i did not have an electric mixer and the mixture was not crumbly, is it because the ingredients were not mixed by an electric mixer? It’s possible; or your ingredients may not have been what I use and recommend which is King Arthur brand all-purpose flour. 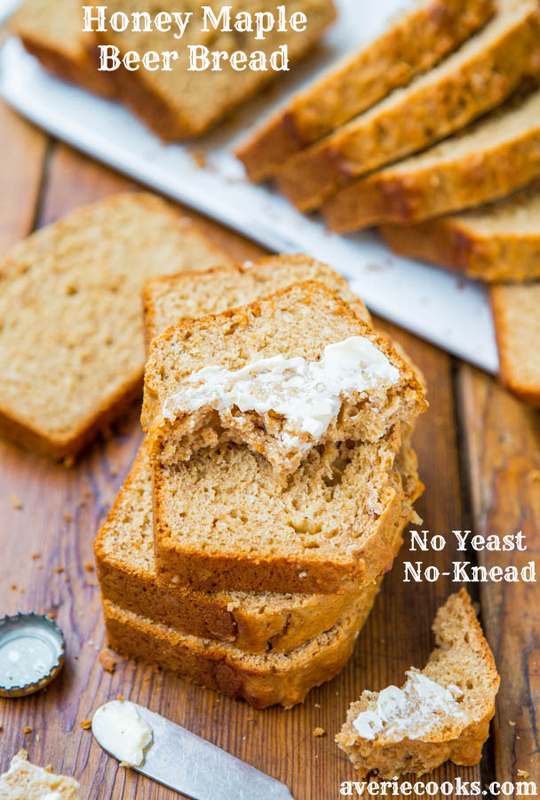 I find it rises THE BEST compared to other flours and my baking powder and baking soda are from Trader Joe’s – make sure yours was fresh as that could have done it, too. Thanks for replying! Alright i’ll note it down, thanks for clarifying my doubts :) Love your recipes! Tried this and they were great! my batter was not as thick as you described, but still came out nicely. I asked my 11yr old niece to transfer them from the pan after they cool but before she put them all on the plate, she already ate 8 pcs! That’s sweet you have a little helper. Glad she’s a fan of them and that the recipe came out great!